WARSAW, N.Y., Oct. 04, 2018 (GLOBE NEWSWIRE) -- Five Star Bank (the “Bank”), subsidiary of Financial Institutions, Inc. (NASDAQ:FISI), today announced the hiring of Alison K. Miller as Senior Vice President and Commercial Market Executive for Central New York. Ms. Miller is responsible for building commercial relationships, growing the Bank’s commercial loan portfolio and increasing awareness of the Five Star Bank brand in the Central New York region. Senior Vice President and Regional Sales Manager of Business Banking at Key Bank. 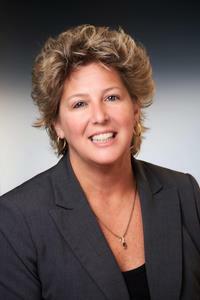 Previously, she held the same role at First Niagara Bank. Ms. Miller received an MBA from LeMoyne College and Executive Leadership Certification from Cornell University. She has a long history of community involvement and currently serves on several not-for-profit boards including: Elmcrest Children’s Center Advisory Board, Juvenile Diabetes Research Fund Board, Regional Loan Committee of New York Business Development Corporation and Onondaga Civic Development Corporation. About Five Star Bank and Financial Institutions, Inc.
Five Star Bank, Scott Danahy Naylon, LLC (“SDN”), Courier Capital, LLC (“Courier Capital”) and HNP Capital, LLC (“HNP Capital”) are subsidiaries of Financial Institutions, Inc. SDN provides a broad range of insurance services to personal and business clients across 45 states. Courier Capital and HNP Capital provide customized investment management, investment consulting and retirement plan services to individuals, businesses, institutions, foundations and retirement plans. Financial Institutions, Inc. and its subsidiaries employ approximately 700 individuals. Financial Institutions, Inc. stock is listed on the NASDAQ Global Select Market under the symbol FISI. Additional information is available at www.fiiwarsaw.com.